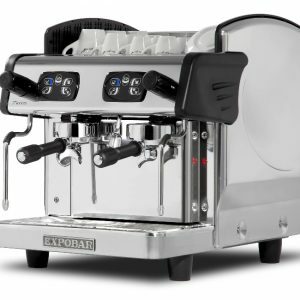 Part of Expobar’s esteemed Elegance collection, the 2 Group Control commercial espresso machine is a good all-rounder: not too big, but with an 11.5 litre boiler and two groupheads that will still get the job done when you have a busy day. This means that you can get several coffees on the go at the same time without difficulty, and offer a wide range of beverages at the fast pace that modern consumers all expect. This 2 Group Control model features two steam arms to help with milk frothing as well as an automatic switch off function which can be an important safety feature in case the water runs dry. As the name suggests, this espresso coffee maker is designed to give you additional control over all of the crucial functions, ensuring that you can produce coffee the way you want it to be. This includes control of the dosage, with 4 different options for each grouphead, the ability to digitally change the boiler temperature, and a pre-infusion chamber to create different brews. Each group also has its own cleaning function, which will help your team of baristas no end as they rush to keep up with high coffee demand. 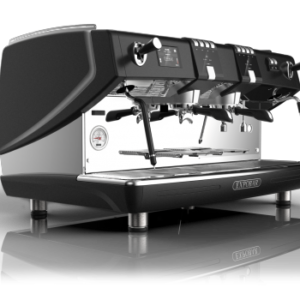 Who Can the Elegance Control Coffee Espresso Machine Benefit? We recommend this coffee machine for any hospitality environment; its large capacity makes it a particularly useful option for busy cafes, bars, restaurants and even pubs or hotels. Whether you run an independent business, a chain or a franchise we have no doubt that you’re regularly looking for ways to improve upon your customer service and product offerings. 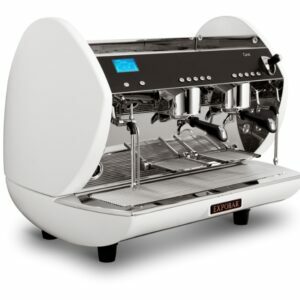 Using this machine, from one of the most popular espresso brands, allows you to achieve both at once – the ease and speed that it brings to your team will leave them with more time to focus on caring for their customers, while the quality of the drinks that are produced is of an extremely high quality. Excellent coffee is one of the best things that a hospitality company can be known for, so it’s definitely the right option for any business with a reasonably heavy flow of customers. For smaller cafes, there are more compact options that may well serve your needs just as well, while hotels and similar that want to offer self-serve benefits might want to consider one of our popular in-cup vending machines. 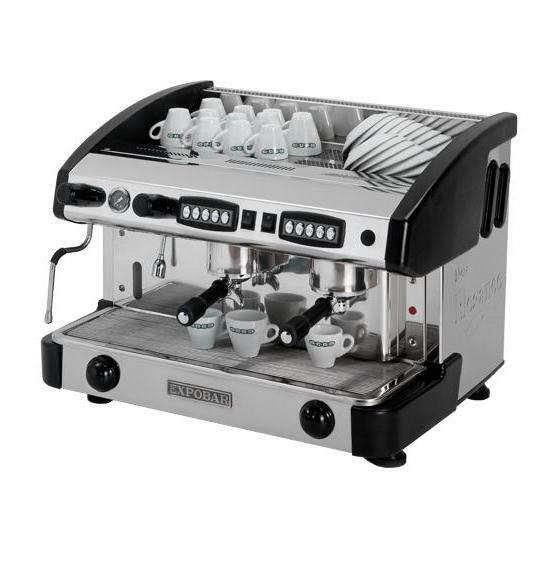 The Elegance 2 Group espresso coffee maker comes in stylish grey and black, making it easy to integrate into whatever existing style your establishment boasts. 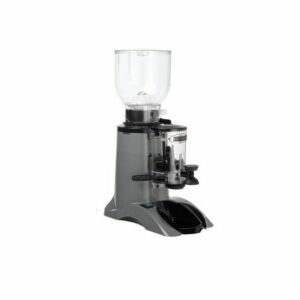 It’s definitely a top choice for making lattes, cappuccinos and other speciality coffees without any unnecessary hassle. Still Not Sure Which Model to Choose? You Can Lease this Machine! If you’ve been having a browse around our many different barista machines, you may well be struggling to decide which one to actually go for! Well, while our team is more than happy to help you with more details and advice, you can also choose to lease rather than buy – meaning that you don’t have to make such a large commitment to one specific machine. 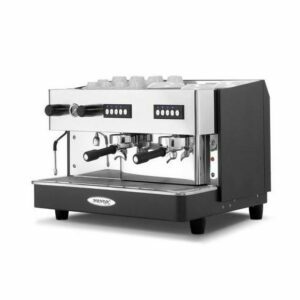 Instead, you have the opportunity to try out this Elegance espresso machine within your own business, and trade it out for an upgrade if it doesn’t seem to meet all of your requirements. This allows us to be sure that our customers retain control over the purchasing process as well as the machine itself, and to keep you happy even if your needs change. To find out more details about this option, to talk to our team about the many different options that are available, or to shower us with important questions, please get in touch online via sales@forwardvendors.co.uk or at 0800 444 443 today. We all love a good brew as much as you do, so we’d love the opportunity to help you bring better coffee to your consumers.